Will There Be Divided Government After 2018? As shell shocked as they may still seem following last November’s election, Democrats appear to have put their party’s 2016 electoral disaster in the rear view mirror and are looking ahead to legislative pick-up opportunities in 2018. The problem for the Democrats is that the 2018 electoral map does not offer a good chance for them to seize power in either legislative chamber – with the party having to defend an inordinate number of competitive U.S. Senate seats and practically having to run the table of competitive GOP-held U.S. House seats to flip that chamber. As it now stands, with Donald Trump in the White House and Republicans in power of both legislative chambers, the GOP is enjoying just its third Congress of unified control of government since the early 1930s. From the end of the Hoover administration through the 114th Congress, Republicans had only run the executive and legislative branches during the 108th and 109th Congresses (2003-2007). [Note: The nation alternated between divided and unified control of the federal government during George W. Bush’s first two years in office from 2001-2003 with Democrats controlling the U.S. Senate for almost 18 of the 24 months of the 107th Congress]. Despite the tendency for divided government in recent years, it has generally been the case across the course of U.S. history to see a single party control the executive and legislative branches. Since 1789, there has been unified government during 67 of the 115 Congresses, or 58.3 percent of the time. 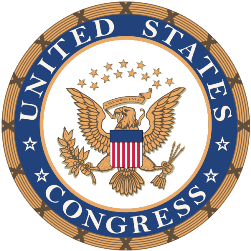 Note: Beginning with the 74th Congress in 1935, the start date of a new congress was moved from March 4th to January 3rd. Beginning in 1937, the start date for presidential terms moved from March 4th to January 20th. For this analysis, when the only period of divided government for a congress occurred during this 17-day overlap with staggering transitions of power, the Congress was coded as ‘unified.’ [e.g. in 1961, 1969, 1977, 1981, 1993, 2009]. To be sure, over the past few generations divided government has been the norm in Washington, D.C.
Over the last 225+ years, however, it has been fairly common to see unified partisan control of these two branches of government. Democrats have been in charge of the executive branch and both legislative chambers for 28 congresses, with Republicans doing so for 24, the Jeffersonian Republicans for 11, the Federalists for two, and George Washington enjoying a pro-administration legislature during his first four years in office (Washington was technically not affiliated with any political party). While the election of Trump mystified most prognosticators last year, in one respect, the fact that the divided government ended after the 2016 cycle should not be too surprising. Entering 2016, the federal government had endured divided political power for six consecutive years, and only twice in U.S. history has the nation gone through a longer period without one party taking unified control. The longest stretch of divided government in U.S. history occurred for 12 years during the 97th-102nd Congresses (1981-1993). Republicans controlled the White House while Democrats held on to the U.S. House during the entirety of this period, with Democrats also attaining majority status in the U.S. Senate from 1987 to 1993. The only other period during which divided government lasted for more than three congresses was from 1969-1977 when Republicans occupied the White House and Democrats controlled both legislative chambers. The longest stretch of unified GOP governmental control occurred during a 14-year stretch beginning with the first William McKinley administration in 1897 through the first two years of William Taft’s term ending in 1911. During the 1910 midterms, Democrats picked up nearly 60 U.S. House seats to win back the nation’s lower legislative chamber for the 62nd Congress. The longest period of Democratic control was also 14 years – from 1933-1947. The GOP won back both the Senate and the House during the 1946 midterms. Previous: Will Maine Democrats Field a Nominee Against Angus King in 2018? 2 Comments on "Will There Be Divided Government After 2018?" 1. “…one party control…2015-2017 (115th Congress): Republican” HUH?? 2. Perhaps it would be (way) more accurate to say that the Ds failed to gain ground as much as they should have, particular for the Senate, which permitted McConnell and his minions to essetially steal a certain SCOTUS seat for good; the one “electoral disaster” of the ’16 cycle is arguably the woeful under-performance on the part of “Her” among her fellow white females; fellow females aged 55 and older; and her native Midwestern and Great Lakes voters (WI, MI, PA, OH, IA; even nearly losing MN). 3. A somewhat persuasive case may be made that the Rs in fact had a unified government of sorts (WH, Senate, and a coalition of Rs and “Boll Weevil” Ds in HR) in 1981-82. 4. Practically no one believed that the Ds would seize control of the HR in 2006, either, given that the Rs redrew the House lines to their advantage in the wake of their statehouse electoral successes in the 1998 and 2000 cycles. As for the Senate, should the trump regime remain as unpopular as it is 18 months from now, NO R-held seat may be considered beyond the reach of Ds or D-friendly independents (e.g. the Dakotas in 1986). RE #4. Perhaps KS-04 will be a bellwether of ’18 (though it’s silly, of course, to call special elections bellwethers). A weak GOP win there Tuesday could be a bit indicative of the impact of Trump’s (un)popularity.